United States International University-Africa has a well-deserved reputation for excellence in research in a wide range of disciplines, as well as a demonstrated commitment to fostering innovative interdisciplinary research. The faculty of USIU-Africa is a highly qualified group of academics and professionals who are committed to finding innovative ways to meet the educational needs of USIU-Africa students. The university’s full-time faculty is complemented by an extensive adjunct teaching staff and frequent visiting lecturers. With small classes, a faculty to student ratio of one to 20 and an emphasis on hands-on training, faculty members serve as guides and partners in the learning process. This close interaction leads to a symbiotic relationship where both the professors’ and students’ academic experiences are enriched. These academics, business leaders, journalists, government officials and professionals bring their practical experience to the classroom. The exchange of ideas also takes place on a more informal basis as academic departments and student organizations invite experts from a wide range of professional fields to give lectures and demonstrations during the weekly assembly hours and in the evenings. USIU-Africa's full-time teaching faculty is highly diverse. It consists of local and foreign staff. By drawing from the national universities, business and professional communities and the Kenyan government, USIU-Africa has recruited a well-qualified part-time faculty. To augment its educational and cultural offerings, the university has in place a Distinguished Guest Program which brings to campus a number of eminent scholars, writers and artists for short-term lectureships or workshops. 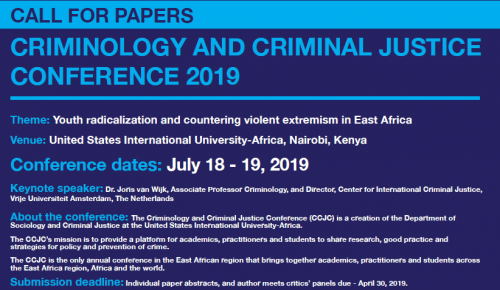 Through their research, USIU-Africa's faculty members make worthy contributions in their fields and produce work that advances the understanding of world issues with a special emphasis on the African region.. Through their research, our faculty examine the world’s enduring questions and address pertinent pressing concerns. Our faculty conduct fieldwork in Kenya and around the world often working side-by-side with students. Through the School of Graduate Studies, Research and Extension, USIU-Africa's interdisciplinary approach boasts an active agenda of research, community links and partnerships with local and international organizations. Currently, the key areas of focus include; Sustainable Development; Agribusiness; Informatics and Innovation, Public Policy, Clinical Psychology, and Business Management and Entrepreneurship. 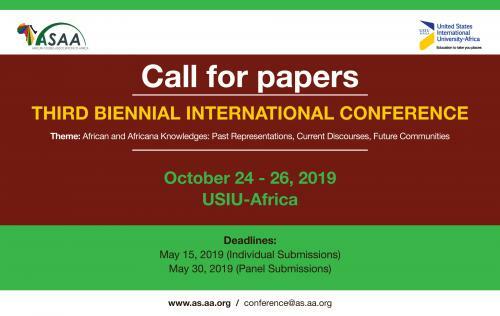 To support the individual interests of each of its faculty members, USIU-Africa provides faculty support grants, capacity building workshops, opportunities for presentations at conferences, workshops and colloquia, and recognizes outstanding contributions through an Excellence in Research Award.